For 2018, Hyundai has refined the 6th generation Hyundai Sonata Hybrid with a fresh facade, revised suspension and a range of new safety features. The hybrid mid-size sedan rivals the Toyota Camry Hybrid and is priced from $25,500 in its most basic SE trim to $30,500 in Limited trim. Power comes from a 2.0-liter 4-cylinder gasoline engine, paired to a 6-speed automatic transmission housing an electric motor and a clutch setup rather than a torque converter. The combined output of the system is 193 horsepower and estimated MPG is a combined figure of 42, with electric speeds of up to 75 mph. Two trims are offered, with the Limited being the luxurious one, boasting such features as a panoramic sunroof, LED headlights, and heated leather front seats. The 2018 Hyundai Sonata Hybrid is the gas-electric partner to the rest of the Sonata range of mid-sized sedans. 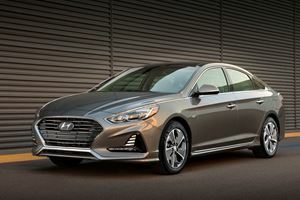 A little late to the party, for 2018, the Sonata Hybrid and PHEV have received the same mid-life updates the rest of the Sonata range received in 2017, with upgrades to the styling inside and out, revised suspension and steering, and a range of equipment updates to keep the Sonata Hybrid fresh against its key rivals, the Toyota Camry Hybrid, Ford Fusion Hybrid, and Honda Accord Hybrid. With two trim levels on offer, and pricing starting from $25,500 before incentives, the Sonata Hybrid is a well-priced way to achieve more than 40 mpg in comfort and luxury with space for the whole family. With the updates to the Sonata Hybrid for 2018, you’d be hard pressed to tell it apart from the regular Sonata siblings upon which the Hybrid is based. A reshaped front end features upgraded LED headlights, Hyundai’s ‘cascading grille’, more defined sculpting, and new vertical LED daytime running lights. The redesign continues to the sides where the skirts below the doors have been remodeled, as has the rear end of the Sonata Hybrid. The Hybrid does without the standard models tailpipes, but do receive special 16- and 17-inch wheel designs with aerodynamic benefits. Aside from wheels and tailpipes, or lack thereof, badging, clear taillamp lenses, and blue bezels in the headlights are all that sets the Hybrid apart from non-hybridized versions of the Sonata. The revisions haven’t altered the drag coefficient either, which remains at 0.23 compared to the 0.27 of the standard models. 7 paint colors are available to choose from; Hyper White, Ion Silver, Metropolis Gray, Skyline Blue, Astral Blue, Cosmopolitan Red, and Nocturne Black. Though the exterior and interior styling may have changed, the Hyundai Sonata Hybrid’s engine and drivetrain remain largely unaltered from before. The Hyundai Sonata Hybrid is a front-wheel drive sedan featuring a front-mounted 2.0-liter Nu engine developing 154 horsepower and 140 lb-ft of torque. Sandwiched between the engine and the 6-speed automatic gearbox, in place of the traditional torque converter, is an electric motor boasting 51hp and 151 lb-ft, bringing total system outputs to 193hp. Power for the electric motor is stored in a 1.76 kilowatt-hours lithium-polymer battery pack stored in the trunk of the Sonata Hybrid. With an unchanged drag coefficient and hybrid drivetrain, it should come as no surprise that the Sonata Hybrid’s fuel economy figures remain unchanged from last year. The Hyundai Sonata Hybrid achieves economy figures of 39/45/42 mpg city/highway/combined in base Hybrid SE trim, which makes the Sonata Hybrid thirstier than the Camry Hybrid’s 52 mpg combined, the Accord Hybrid’s 48 mpg, and on par with the Fusion Hybrid’s combined claim. Performance-wise, the hybrid system I quick off the mark, though a mid-8 second 0-60mph time isn’t the most exciting. Mid-range punch is great as well, with the electric motor filling the torque-gaps of the naturally aspirated motor, but at the top end of the rev-spectrum the electric motor is somewhat lackluster. For that reason it’s best to let the mid-range do the work, and allow the automatic six-speed to shift imperceptibly to keep the Sonata Hybrid in the performance sweet-spot. The Sonata Hybrid seats 5 occupants in great comfort – with room in the rear for three adults, though taller occupants may find the sloping roof to impede headroom a little compared to rivals like the Accord Hybrid. The seats are extremely comfortable, even in base Hybrid SE trim, though the Limited trim sees leather upholstery, 8-way power adjustment for the driver with lumbar support, 6-way passenger power adjustment, heating and ventilation, and memory function thrown into the mix for even greater levels of comfort. If you want 60/40 split folding rear seats, you’ll need to fork out for the Limited model too. The interior of the 2018 Hyundai Sonata Hybrid also benefits from the face-lift. Most of the revised paneling and displays mimic the now revised non-hybrid Sonata range, with the exception of the gauge cluster which includes a power-gauge instead of the standard tachometer in gas-only derivatives. There is also the hybrid-related center display screen, and the new climate control system offers a ‘driver only’ button for hybrid models to conserve energy when driving alone. In the base Sonata Hybrid SE, cloth seats await occupants, though the steering wheel comes standard as a leather-clad item. From within, the cabin doesn’t have the same style as the Honda Accord Hybrid. The base SE trim offers ‘metalgrain appearance accents’ with the Limited trim getting faux woodgrain instead. But what it lacks in style it more than makes up for in comfort and ergonomics. Controls fall to hand easily and are easy to use, and the expansive center stack has large buttons and knobs that are easy to find and use when on the move. A 7-inch touchscreen is standard equipment, 8-inch optional, and is easy to use and reach thanks to it being repositioned higher than before. Standard interior features on SE models include dual-zone automatic climate control, power windows, Apple CarPlay and Android Auto functionality, and a center armrest with dual cupholders, with the Limited including leather upholstery, a power sunroof, 2nd row air vents, HD Radio, and SiriusXM Satellite Radio. The Hyundai Sonata Hybrid offers 13.3 cubic feet worth of cargo volume in the trunk – which is decent in relation to other hybrid alternatives. It loses out on trunk volume compared to gas-only models due to the battery’s placement in the trunk and offers less than the 15.1 cu. ft. of the Camry and huge 16.7 cu. ft. on offer in the Accord Hybrid; but it still offers more than the 12 cu. ft. of the Ford Fusion Hybrid. In Limited trim, the 60/40 split folding rear seats do allow for longer item storage and expansion into the cabin. Getting items in and out isn’t all too difficult either, and when you have the standard proximity key on you, the hands-free power trunk lid standard on all Sonata Hybrid models makes for convenient loading when you’ve got your hands full. The revised suspension and steering for the 2018 Hyundai Sonata Hybrid has transformed it into a far more enjoyable drive than before. The firmer suspension manages the extra weight of the rear-mounted battery and ensures vastly better support when cornering, and even in a straight line, where the firmer setup offers more support and makes the Sonata Hybrid feel more on its toes and more alive. It’s firmer than before, but still not overtly so and the overall bias is one of comfort, soaking up bumps in the road with great aplomb. It’s vastly more comfortable than a Fusion Hybrid, and comparable to the composure offered by the Camry. The steering has been revised too, and though more responsive, it’s still light enough to be hand around town and around parking lots. But one problem that is yet to be resolved is the brake feel. Of course the Sonata Hybrid relies upon brake energy regeneration to recharge its battery, which often results in poor brake feel. But the Sonata Hybrid is by far the worst of a bad bunch, with a grabby feel that deteriorates to mush mid-way through the pedal travel without smooth progression to full braking force. At high speeds this feels particularly prominent, and worrying, and the distinct lack of feel places the Sonata Hybrid last in its class in this regard. The hybrid system is, however, a very good one – deft at deploying power in a manner that makes it most usable when you need it, on pull-off and when overtaking. The 6-speed automatic shifts smoothly and near imperceptibly, while the electric motor torque-fills to off-set the naturally aspirated motor’s lack of natural torque. According to the J.D. Power and Associates Vehicle Dependability Study (VDS), the Hyundai Sonata Hybrid was rated 3.5 stars out of 5, placing it marginally better than average, but below the hybrid class leader, the Camry Hybrid, which scored 4.5/5 stars. The drivetrain found in the Sonata Hybrid is now proven after several years in use with little to no issues having arisen, meaning the Sonata Hybrid is a good buy if reliability is at the top of your priority list. 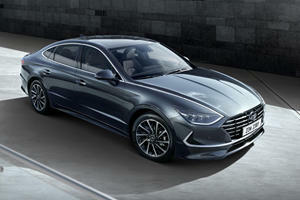 Furthermore, there have been no recalls for this generation of Sonata, across both hybrid and non-hybrid models. Build quality is also solid, and there’s immense confidence shown by Hyundai for their own vehicles reliability. 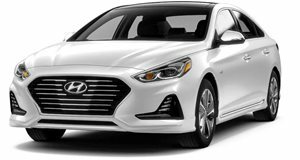 Hyundai offers a range of warranties, covering various parts, including a 5-year/60,000-mile limited warranty, a 7-year/unlimited miles anti-perforation warranty, a10-year/100,000-mile powertrain warranty with a matching one for the hybrid system components, and a lifetime warranty on the Hybrid’s battery. Hyundai also offers 5-years’ worth of 24-hour roadside assistance. The Hyundai Sonata Hybrid has a base MSRP of $25,500 for the Sonata SE Hybrid, with the top-specification Sonata Limited Hybrid setting you back $30,500 before options and any incentives on offer. It’s just the two trim offerings available, with the SE bagging you projector headlights, automatic light control, cloth upholstery, a 7-inch touchscreen infotainment system, AM/FM/MP3 audio system with 6-speakers and a reverse camera, Android Auto and Apple CarPlay functionality, dual-zone climate control, and keyless entry. Opting for the Limited model results in a range of upgrades over the SE. For the extra $5,000 you’ll find yourself in leather upholstered seats with heating and ventilation and multi-way power adjustment, with LED headlights, 17-inch alloys, a power sunroof, 60/40 split folding rear seats, HD Radio, SiriusXM Satellite Radio, BlueLink connected services, an auto-dimming rearview mirror, 2nd row air vents, and with woodgrain appearance dash inserts. The Sonata Limited Hybrid is also the only trim that offers the Ultimate Package, which for $3,850 offers you automatic emergency braking, lane keep assist, smart cruise control automatic highbeam assist, driver attention alert, rear park sensors, heated steering wheel, rear window sunshades, an 8-inch touchscreen navigation and infotainment system, Infinity premium audio with 10 speakers and a subwoofer, and wireless device charging for compatible smartphones. If outright comfort in the hybrid mid-size segment is what you’re after, then the Hyundai Sonata Hybrid is well worth having a look at, though the Camry Hybrid might be a better option. The Sonata Hybrid might be down on cargo volume compared to rivals, particularly the class-leading Honda Accord Hybrid, and might not have the best economy figures in segment, but it is well appointed, spacious, and supremely comfortable. The styling upgrades received for 2018, along with the ergonomic refinement make it more user friendly than ever before while the improved list of standard features make the Sonata Hybrid great value for money. The brakes are an annoyance, but one you’ll learn to live with as they ultimately do work, and are the only real fault in an otherwise comfortable and luxurious drive. Though the SE may be the cheaper of the two options – and a great vehicle in its own right – if you can afford to splash out, the Limited is well worth the price premium, not only for the extra features but for the inclusion of 60/40 split folding rear seats to maximize cargo volume. The Limited also allows for the extra safety features from the Ultimate Package, making a compelling case for you to load it up completely, even though that sees the price rise to $34,350 all in. Video footage of the new sedan reveals more details. Korean automaker pitches in while the White House and Congress work things out. 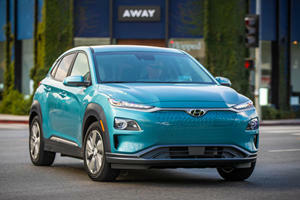 Hyundai is ready to dethrone Toyota as the hybrid king.